Why our Skylight Blind Collection? Skylight windows are a beautiful feature to have in a room. They allow the light to flood into an otherwise dark and gloomy space. Our blinds for skylight windows are complementary – providing an additional stylish feature when closed but unobtrusive when opened. 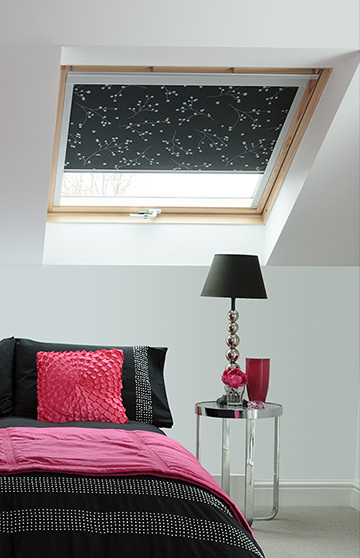 Not only do we have skylight blind ranges, we also offer the complete VELUX® range and fabrics. The VELUX® range includes roller, venetian and pleated blinds and come in beautiful designs, plain options and blackout fabrics to suit every room in your home.